IntelligenceBank Digital Asset Management (DAM) is a SaaS (Software-as-a-Service) digital asset management application that makes it easy to share documents, images, media, explain brand guidelines, and streamline the creative collaboration process. Starting at just $9 per user/month, the platform has robust tools and features. IntelligenceBank is used by small-to-medium enterprises, nonprofits, government agencies, and Fortune 1000 organizations. The intuitive interface lets you upload any file type and manage them in bulk. Innovative management features include: upload with drag-and-drop, download files to zip, bulk add metadata and add to lightbox collections. Preview media online, and avoid storing multiple versions of the same file by downloading files in different sizes and formats on the fly. The platform helps with talent compliance, by enabling you to track review dates of images, record copyright and to link files to consent forms. You can also run custom reports on all files, and usage analytics are available by file, by user and overall – so you can easily measure the effectiveness of the platform and each marketing channel. Email alerts ensure your team is automatically notified when new assets are available, and you can also email links from the platform to non-registered users. Collaborating on creative is easy with customizable workflows, shareable image annotations, and lightboxes. 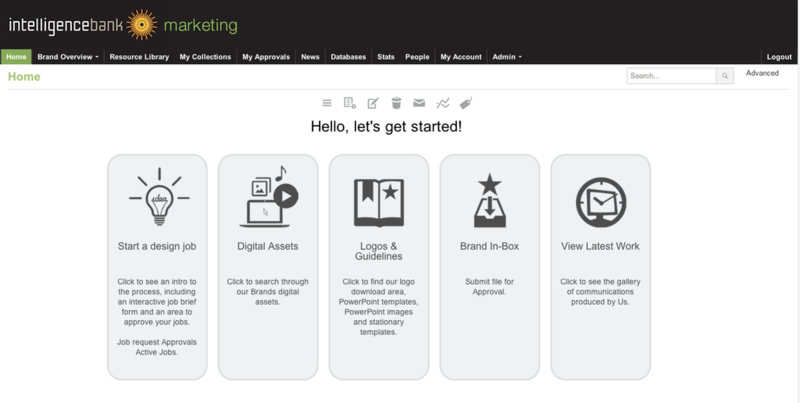 Last but not least, IntelligenceBank comes with customizable web pages, so you can showcase your brand guidelines on interactive pages that sit alongside your digital asset management system. Not sure if IntelligenceBank Digital Asset Management is the right product for your managing your marketing content and workflows? Call and speak with one of our Technology Advisors today for a no-cost, no-obligation consultation. Learn everything you need to know about IntelligenceBank DAM. Our experts will reach out to you shortly.